Global Service & Worldwide Deliveries available. ROCHEM was founded in 1973 in Germany, where it first introduced Reserve Osmosis in 1982. Further in 1986 Rochem embarked upon a research and development program to produce the Disc Tube (DT/PF) Module Technology that received worldwide patent coverage. 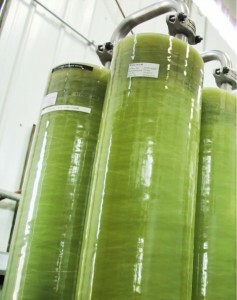 ROCHEM ASIAN OPERATIONS (RAO) is unique because of its multifaceted approach to offer only effective filtration and separation techniques. Rochem Asian Operations has been successfully servicing around the Asian Region all industries since 1993. Rochem Asian Operations delivers, Reverse Osmosis Plants that incorporate rather DT or the more advanced ROCHEM® Module Technology. The expertise gained from its experience in the marine industry has enabled ROCHEM ASIAN OPERATIONS to offer RO Systems for other applications such as industrial plants, hotels, leachate (liquid toxic waste) treatment for landfill locations & industrial waste water treatment. A creative innovation was that, the newest ROCHEM® Module Membranes, are designed to fit inside the pressure vessel of the old DT Modules and to increase the active surface area, offering an increased performance with a considerable reduction in the number of modules and subsequent space. The knowledge and experience gained through its leachate installations has lead to the use of new REVERSE OSMOSIS, NANOFILTRATION and ULTRAFILTRATION technologies. Existing ultra-filtration systems on the market were beset with problems in attempting to treat wastewater containing fouling impurities and suspended solids. ROCHEM ASIAN OPERATIONS included an improved membrane module to its line of products. Known as the PF MODULE, this newer design can address special requirements such as the treatment of Grey Water to meet environmental discharge requirements and convert surface water to drinking water. Excellent Manufacturing Partners with Worldwide acceptance and certification by all first class recognized Classification Societies. Robust plant designs utilizing barriers based on proven engineering and worldwide accepted treatment solutions. Modular compact design for future expansion and ease of installation that provides flexibility in layout & reduces costs. Quality efficient plant that minimizes specific energy resulting in a very economic operation. High level of operation redundancy designed for operating & maintenance flexibility. Environmental ‘least impact’ solution and quality of discharge that is suitable for re-use rather than as a waste stream. Water (sea water, surface water, river water, brackish water and city water) Purification including MILITARY applications. Industrial applications: Sugarcane, Textile, Distilleries, Pharmaceutical, Oil & Gas Industry, Food industry, Breweries.